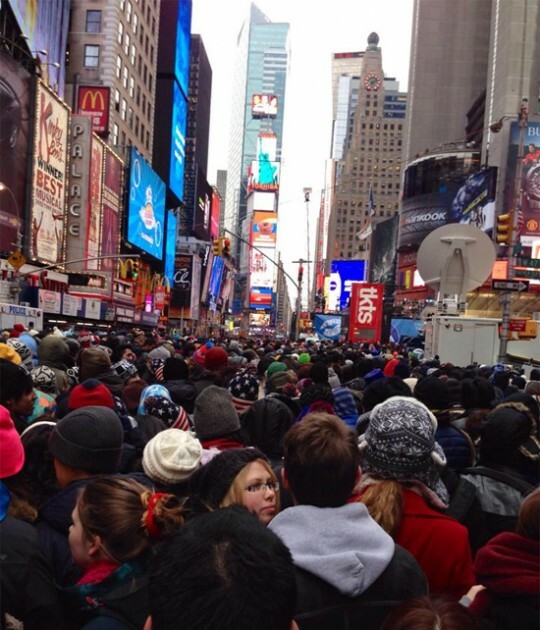 This photo, taken about 2 p.m. CST time, shows a packed Times Square in New York City as spectators claim a spot for tonight’s ball drop to welcome 2014. 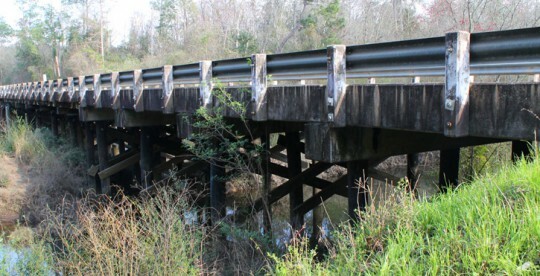 Photo by Michael Brantley for NorthEscambia.com, click to enlarge. Three Northview High School cheerleaders are in London today, preparing to march in London’s New Year’s Day Parade on January 1. 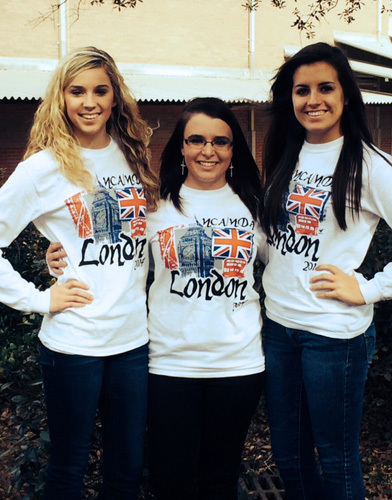 Madison Arrington, Katelynne Calloway and Hannah Gibson have been in London since last week enjoying seven days in London as part of the National Cheerleaders Association All-American group that will march in the parade. “It is such a privilege to be selected as NCA All-American Cheerleader. I am very excited to be able to go to London and participate in the New Year’s Day Parade and all the other activities they have planned for us. I am very grateful for the wonderful cheerleading coaches I have had over the years that made it possible for me to achieve this honor and represent NHS and our community,” Calloway said. According to organizers, London’s New Year’s Day Parade attracts a worldwide TV audience approaching 300 million, sees almost 700,000 on the streets of London and has about 10,000 performers. “I am excited about being selected as NCA All-American Cheerleader. It is a great honor and exciting opportunity to represent my school and community in the London New Year’s Day Parade,” Gibson said. During the past several days, the Northview cheerleaders have toured the city,visiting several well known landmarks. The girls were given the opportunity to go on the London trip after being selected as All-American cheerleaders during an NCA cheer camp over the summer. The London New Year’s Day Parade begins at noon London time, 6 a.m. local North Escambia time. 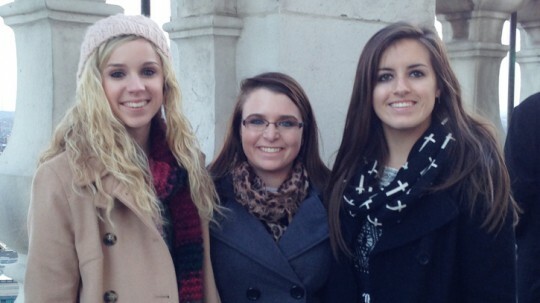 Pictured top: Northview cheerleaders (L-R) Madison Arrington, Katelynne Calloway and Hannah Gibson in London. Pictured inset: The girls at Northview prior to the trip. 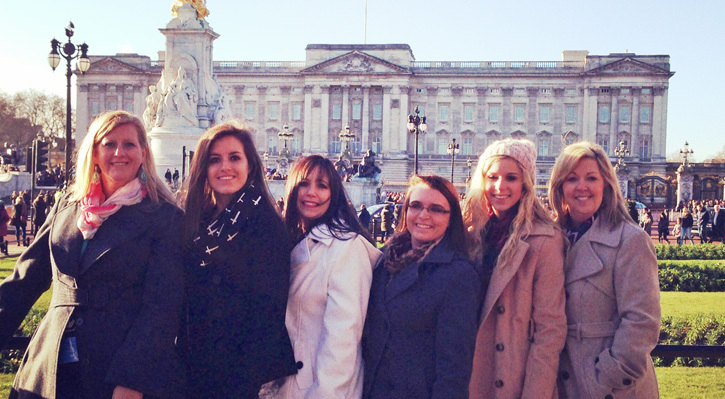 Pictured below: The All-American cheerleaders with their parent-chaperones in London. Photos for NorthEscambia.com, click to enlarge. Today: Mostly cloudy, with a high near 51. North wind 5 to 10 mph. Tonight: A 30 percent chance of rain after midnight. Cloudy, with a low around 40. North wind around 5 mph becoming calm. 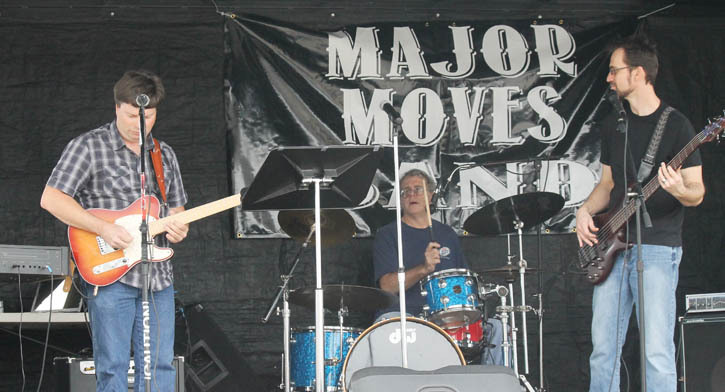 New Year’s Day: A 50 percent chance of showers. Cloudy, with a high near 58. Northeast wind around 5 mph becoming southeast in the afternoon. Wednesday Night: Periods of showers. Low around 49. Northeast wind around 5 mph. Chance of precipitation is 80%. Thursday: Showers likely before noon. Mostly cloudy, with a high near 61. North wind 5 to 10 mph becoming northwest 10 to 15 mph in the afternoon. Winds could gust as high as 20 mph. Chance of precipitation is 60%. Thursday Night: Mostly clear, with a low around 28. Northwest wind 10 to 15 mph, with gusts as high as 25 mph. Friday: Sunny, with a high near 48. North wind 10 to 15 mph. Friday Night: Mostly clear, with a low around 27. North wind around 5 mph becoming calm. Saturday: Sunny, with a high near 57. Northeast wind 5 to 10 mph becoming southeast in the afternoon. 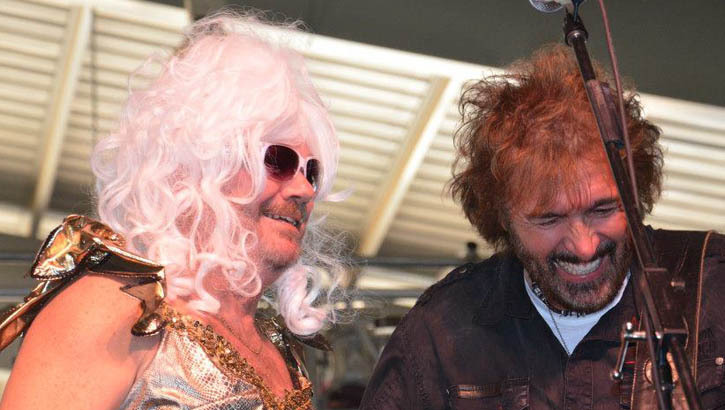 Saturday Night: A 20 percent chance of showers. Mostly cloudy, with a low around 39. Sunday Night: A 30 percent chance of showers. Partly cloudy, with a low around 40. 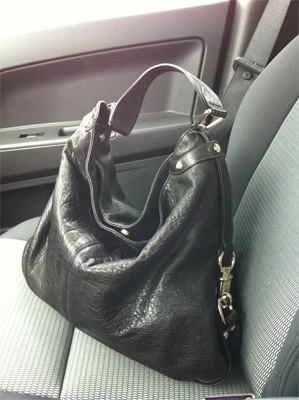 The Escambia County Sheriff’s Office is reminding residents to lock their vehicle doors after several car burglaries were reported Monday morning in the Beulah area. 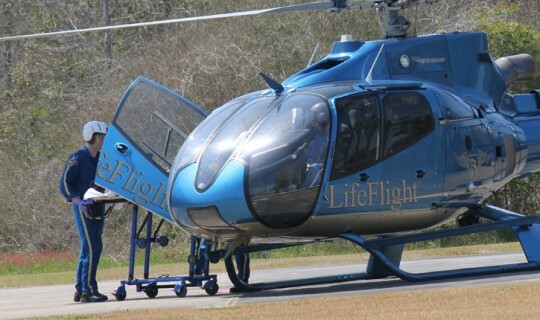 Anyone with information about the burglaries is asked to call Crime Stoppers at (850) 433-STOP or the Escambia County Sheriff’s Office at (850) 436-9620. A suspect reportedly clipped a Florida Highway Patrol trooper as he fled a traffic stop Monday night near Pensacola Christian College, leading to a manhunt in the area. The trooper had stopped a Mitsubishi Eclipse on Brent Lane. The driver sped off, clipping the trooper, who was not injured. 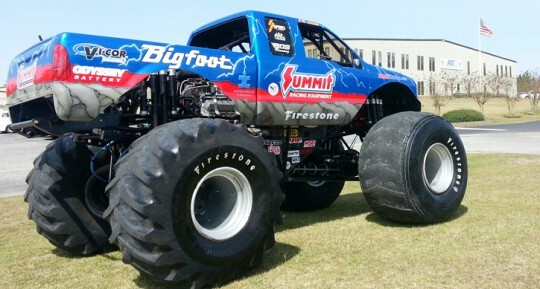 A short distance away, the suspect flattened a couple of tires when he collided with a curb on East Brent Lane, a small side street that runs parallel to Brent Lane. The man fled the vehicle on foot, leading troopers and the Escambia County Sheriff’s Office on a manhunt that involved a K-9. There was no word or any arrests or further suspect information from law enforcement as of late Monday night. A second measure that would grant immunity to people who show guns or fire warning shots in self-defense has been filed in the Senate, and it will get a hearing next week. Combee’s bill passed the House Criminal Justice Subcommittee in November as a committee substitute, which is now being reviewed. 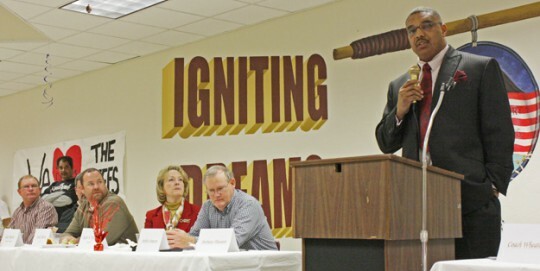 A similar measure by Combee failed to advance during the 2013 legislative session. The prior attempt sought to amend the state’s 10-20-Life sentencing law. 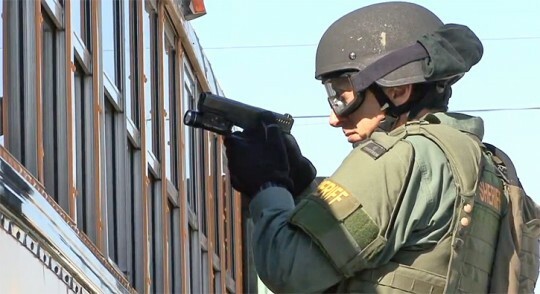 Under the 10-20-Life law, possessing a gun while committing certain crimes is punishable by at least 10 years in prison, discharging a gun while committing those crimes is punishable by at least 20 years in prison, and hurting or killing someone during those crimes is punishable by 25 years to life in prison. Now, with Combee’s bill seeking to amend the “stand your ground” law instead of 10-20-Life, it has gained the support of the Florida Public Defender Association. 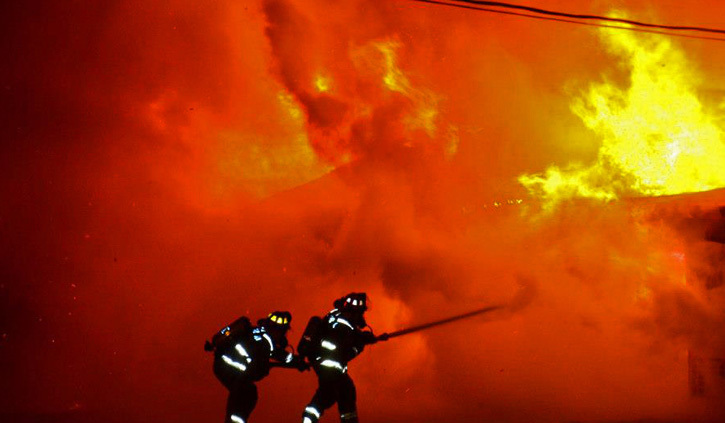 All this week, we are looking back at the photos that were in the news in 2013. Today, we are featuring photos from March. 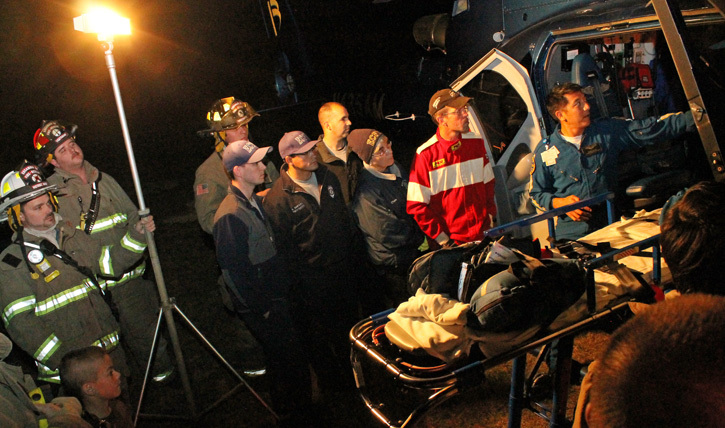 LifeFlight prepares to transport a Century stabbing victim. 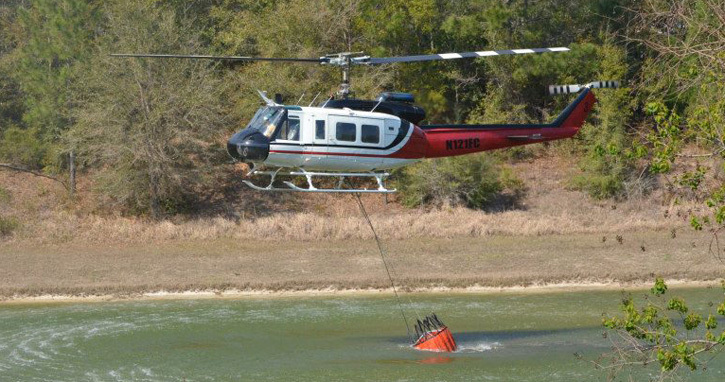 The Northwest Florida Water Management District intended to burn about 338 acres within the Perdido River Water Management Area. 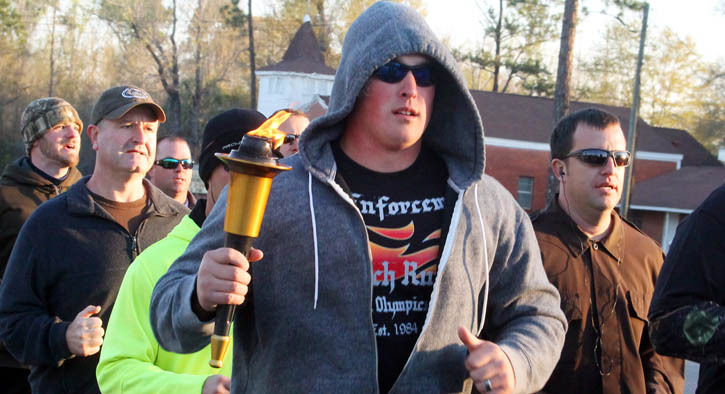 The Florida Special Olympics Torch Run began in Century during March. 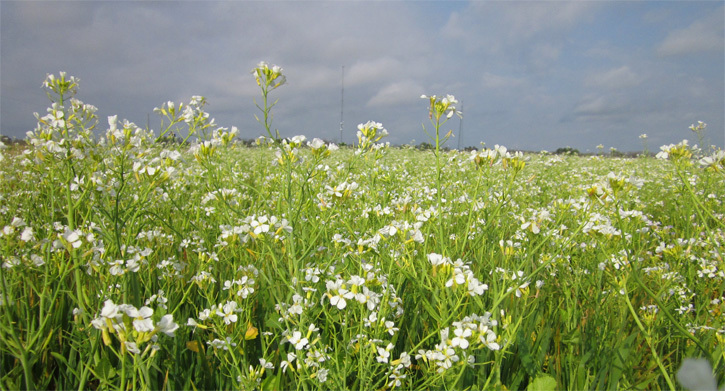 Sodbuster radish grows in a field near Highway 97 and Highway 29 in Molino. The Escambia County Equestrian Center was dedicated as the “James C. Robinson Escambia County Equestrian Center”. The Bigfoot monster truck visited Alto Products in Atmore. 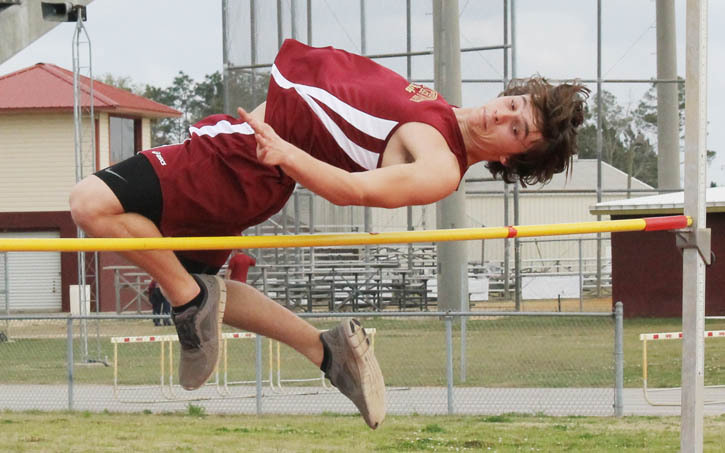 A track meet at Northview High School. The Chiefs beat Jay 2-1 during a March game. Firefighters responded to the smell of smoke in the Molino Fire Station. Marty “Margaret” White of WXBM with Confederate Railroad at Beulahfest. 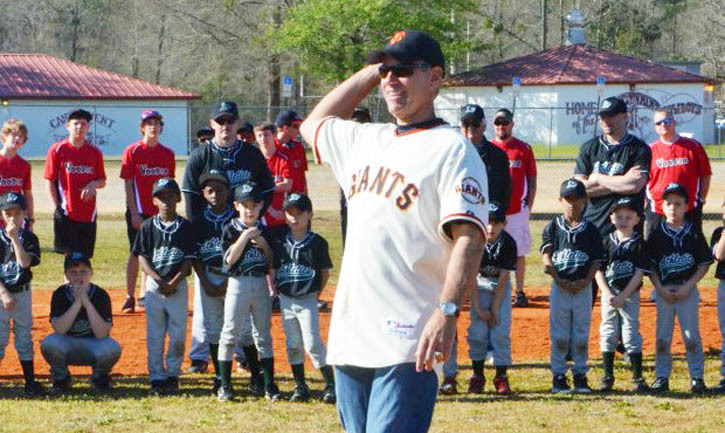 Greg Litton, former major league player for the San Francisco Giants, Seattle Mariners and the Boston Red Sox. 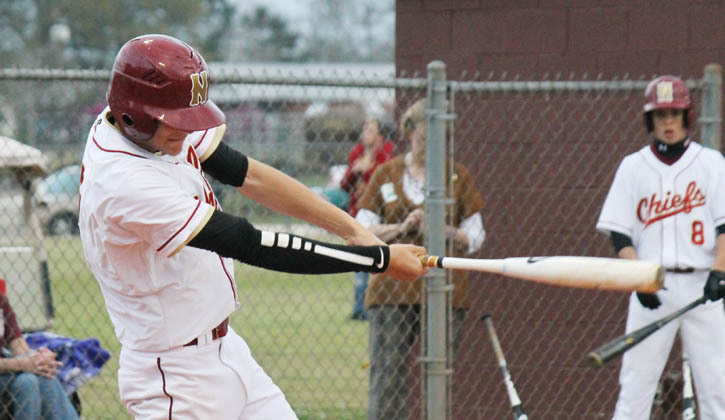 tossed the first pitch of the year for the Cantonment baseball program. 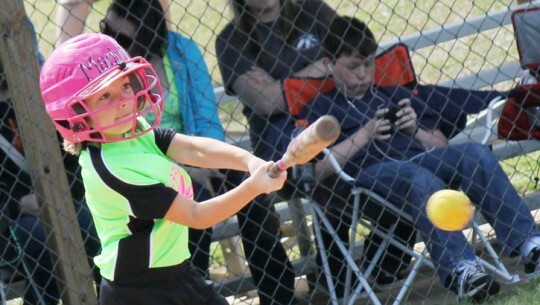 March also brought Opening Day for NWE in Walnut Hill. 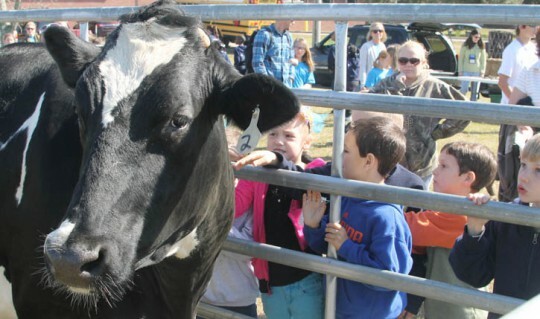 Food for America from the Northview High FFA introduced over 1,100 local students to agriculture. Two time Super Bowl champ Anthony Pleasant addresses the Northview Chiefs during their annual football banquet. Volunteer firefighters underwent hands 0n LifeFlight training in Walnut Hill. 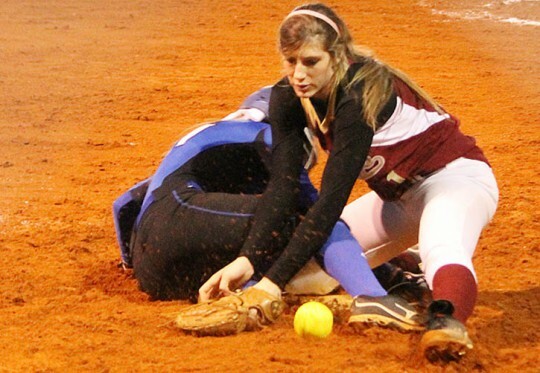 Northview beat Jay in softball. Firefighters battle a garage fire in Cantonment. 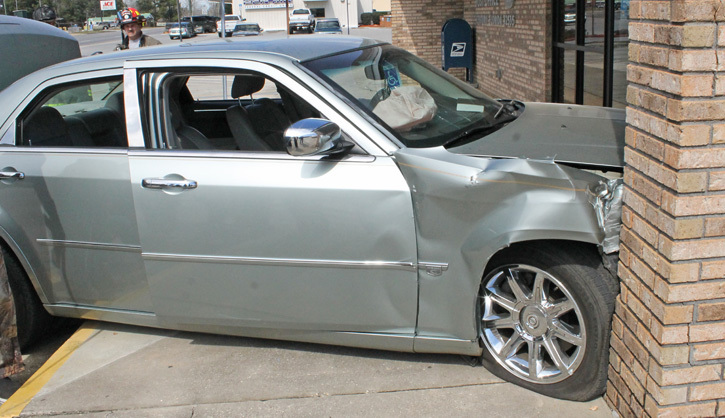 A 53-year old Century driver hit the local post office. Hundreds of people attended the annual Blue Jacket Jamboree sponsored by the Northview FFA Alumni. 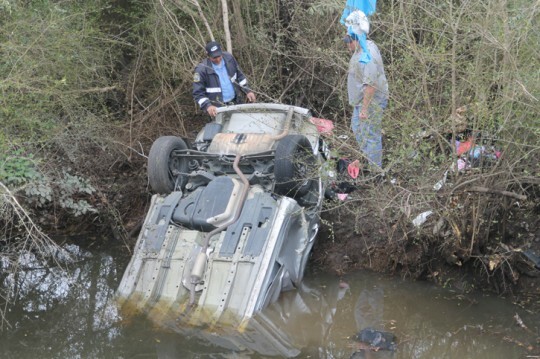 A woman survived after flipping her vehicle of a bridge near Atmore into a creek below. 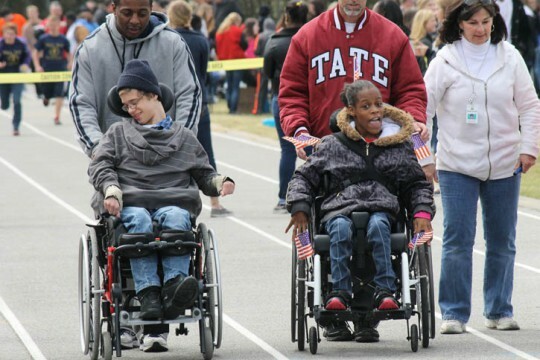 The track and field portion of the Escambia County Specials Olympics was held at Tate High School. 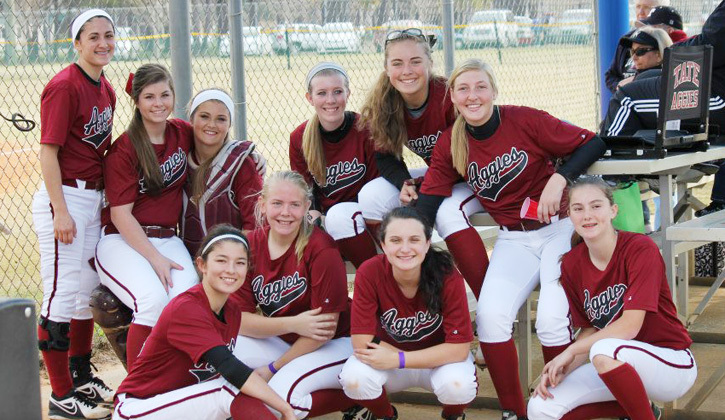 The Tate Lady Aggies went 3-14 in the North Florida Classic in Tallahassee. 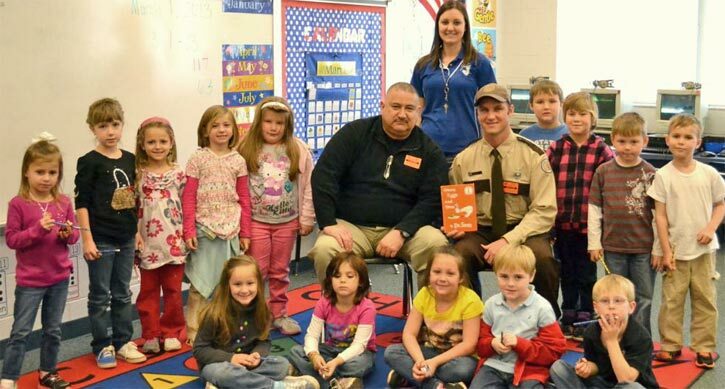 Century Correctional Institution Officer Tony deGraaf (in hat) and Assistant Warden Robert Flores read to a kindergarten class at Jay Elementary School as part of Read Across America Day. 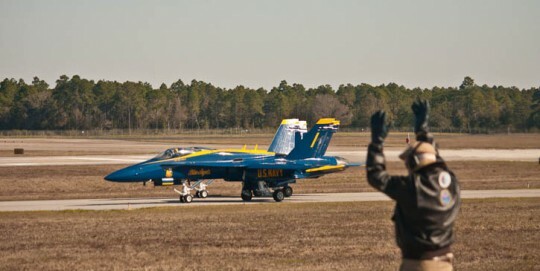 The Blue Angels practiced for their upcoming season in March, unsure of their future due to budget cuts. A dance group performs during the annual talent show at Northview High School. The Escambia County Sheriff’s Office SWAT team conducted a training exercise with an Escambia County school bus. 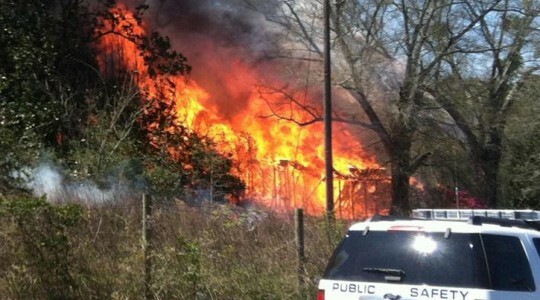 A wildfire destroyed a house in Byrneville. This bridge on Highway 164 between Walnut Hill and McDavid was closed for repairs. Nine tons of free food was distributed in Century. The Poarch Creek Indians donated to four Escambia County, FL, schools. 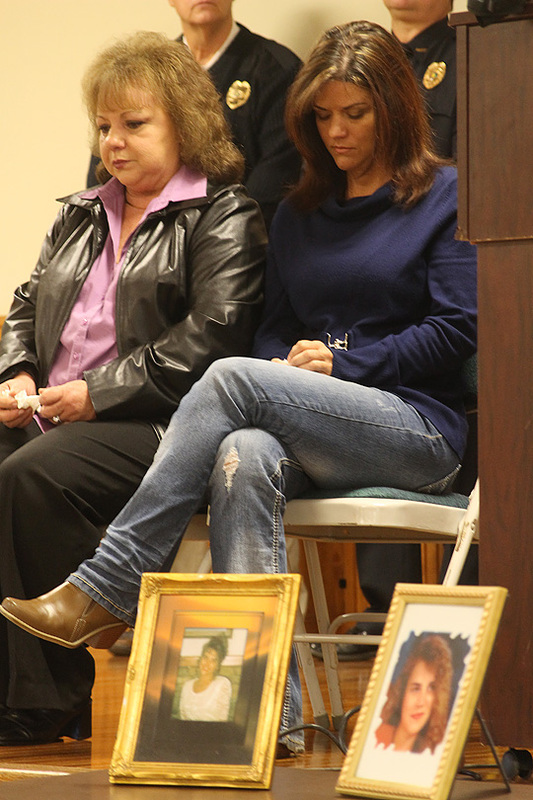 Pictured top inset: Melinda Wall McGhee’s mother Ouida and her sister, Lisa Wooten, sit quietly behind pictures of McGhee during a press conference marking the 10th anniversary of her disappearance. All four Escambia County Tax Collector offices will be open regular business hours on New Year’s Eve, according to Tax Collector Janet Holley. Persons paying their 2013 real estate and tangible personal property taxes who want to receive the three percent discount must make their payments by December 31.
made on the tax collector website by midnight December 31. Additionally, payments mailed with a December 31 postmark or left in a 24-hour drop boxes after hours on that date will receive the three percent discount but will be dated in January. Residents are encouraged to pay taxes online; however, other options are available, such as payment by phone, by mail, and in person at any of the four convenient tax collector offices. 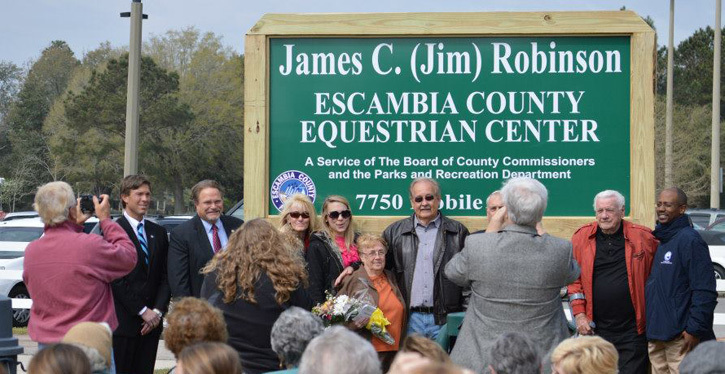 Escambia County Tax Collector Offices will be open regular business hours — 8 a.m. until 4:30 p.m. — on Tuesday. 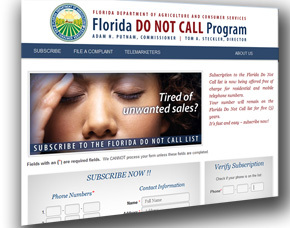 Gripes about violations of the state’s “Do Not Call” list easily dominated the Florida Department of Agriculture and Consumer Services’ top complaints for 2013. The state agency reported Monday that 18,862, or nearly 40 percent, of the 47,226 complaints lodged between Jan. 1 and Dec. 20 involved telemarketers and other telephone sales operators dialing numbers on the “Do Not Call” list. In second place were 3,626 complaints about telemarketers in general. Complaints about violators of Do Not Call has topped the list for four consecutive years. The increase in complaints is consistent with the increase in subscribers to the Florida Do Not Call List. For complaints filed against businesses regulated by the department, trained staff work to resolve the dispute through mediation and evaluate the business for compliance with statutory provisions. As a result of the department’s efforts, more than $3,477,000 was recovered on behalf of Florida consumers this year. The Florida Department of Agriculture and Consumer Services is the state’s clearinghouse for consumer complaints, protection and information. The consumer assistance center is staffed with trained analysts who are able to file complaints on behalf of the consumer, respond to questions about programs and regulations under the department’s purview, provide information on a wide variety of topics or direct callers to the appropriate government agency. 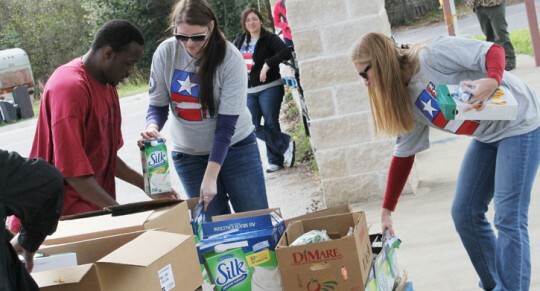 The department’s consumer assistance center answered nearly 200,000 calls and more than 7,300 emails in 2013. 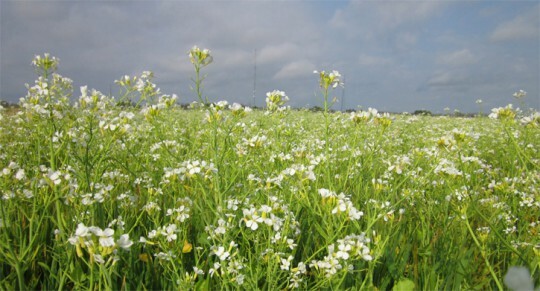 In addition, the consumer assistance center analysts responded to nearly 7,000 online chats through the department’s online chat option available at www.freshfromflorida.com. Cloudy “J.B.” Bloodsworth, 81, of Walnut Hill passed away December 26, 2013. He was an avid outdoorsman who loved hunting and fishing. J. B. was preceded in death by his parents and ten siblings. He leaves to cherish his memories children, Debbie (Skip) Farley, Howard (Sherry) Bloodsworth, Rocky (Sylvia) Bloodsworth, Elaine (Wayne) Watson; nine grandchildren; seventeen great-grandchildren; a loving brother, Ray (Penny) Bloodsworth; a very special lifelong friend and partner, Frankie Gaupp and her family; longtime friend, Ronald Boyce and other relatives and friends. 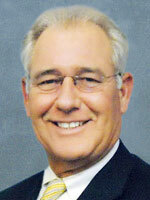 Visitation will be from 6:30 p.m. until memorial service begins at 7:00 p.m., Friday, January 3, 2014 at Trahan Family Funeral Home.